If your lottery numbers come up, what will be in your dream garage? 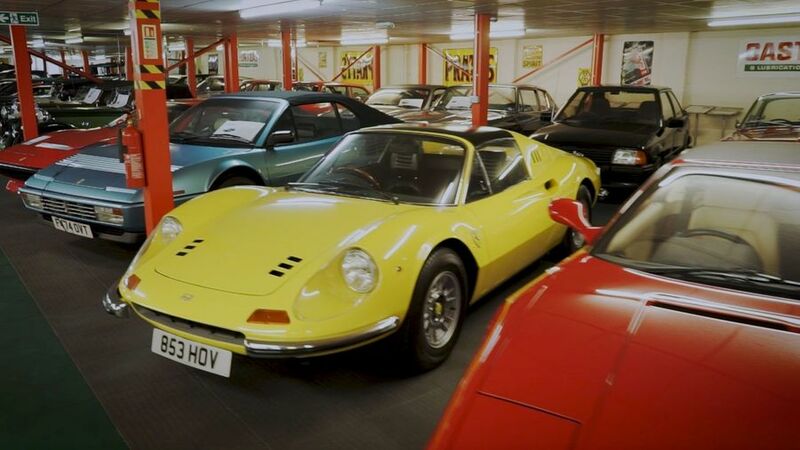 We get some ideas from Rodger Dudding, the man with the biggest car collection in Europe. Rodger Dudding has done very well for himself. After coming up with the idea for the ticket queuing system, found in supermarkets around the world, he invested in lock-up garages to rent out, and now owns some 14,000 around the UK. As many of us would no doubt do were we to find ourselves financially able, Rodger spent some of the proceeds of his success on cars. At first, a few. And then a few more. Now, his collection is the largest in the UK, standing at more than 420 modern and classic cars of all shapes and sizes, including a whopping 24 examples of Aston Martin’s “wedge” Lagonda. We went along to Studio 434, the business he set up to house his collection and look after other people’s cars, to meet him. Self-driving cars: how good is the technology? Ford to stop selling most of its cars in the US: is the small car dead? What's it like to drive a police car? Most economical cars - What is the best car for mpg? Which body style is right for me?